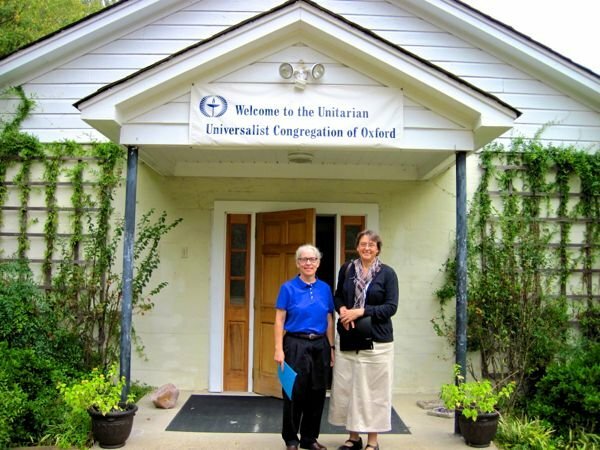 The express purpose of the visit was for Linda to speak at the Unitarian Universalist Congregation of Oxford Mississippi. Here’s Linda and Gail before the service. And Linda in action. The church was a wonderful old building, reminiscent of a one-room school house, with a wood-strip floor and the good old building smell and aura. 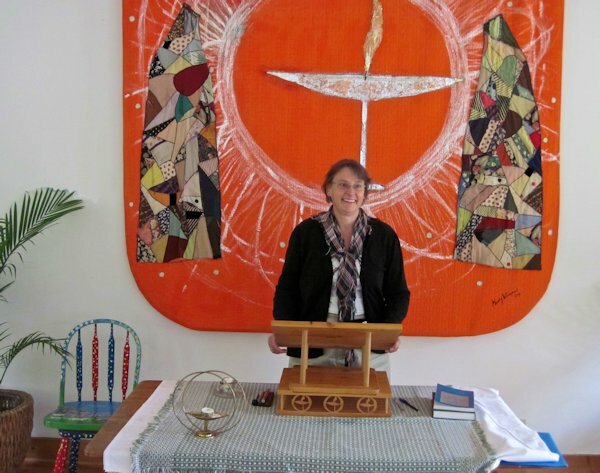 The congregation is vivacious, bright-eyed and full of life and energy, and unlike many other smaller congregations, has a very young average age. It was also a reflective week in Oxford as it marked the 50th anniversary of the admittance of James Meredith into the University of Mississippi. His enrollment was met with riots, deaths, and 30,000 troops to keep order, and he remained under the guard of U.S. Marshalls during all of his time at the University until he graduated. There was no such hardship when in 2002 his son graduated as the top doctoral student in the school of business. Ever just want to hop in the car and drive somewhere you’ve never been before? We first grabbed a sniff of the Mississippi River near Keokuk Iowa, and traced it down through Hannibal, St. Louis, and Cape Girardeau, and the bootheel of Missouri, followed by Blytheville, Arkansas, finally crossing over the Mississippi in Memphis, Tennessee, before continuing on to Oxford Mississippi. Driving time, about 11 hours. 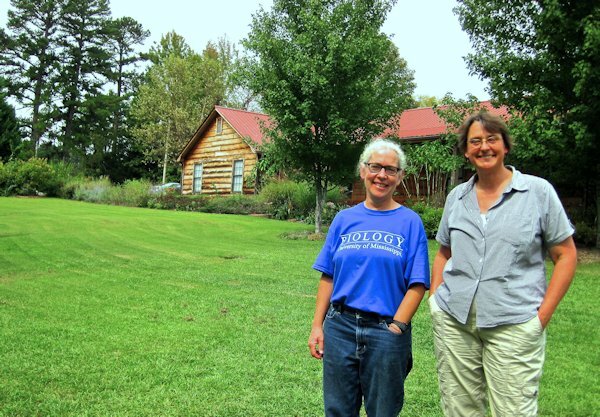 Here are a couple of biologists-turned seminarians, Linda and Gail at Gail’s home outside of Oxford. I was struck with the rolling densely forested countryside of Northern Mississippi. 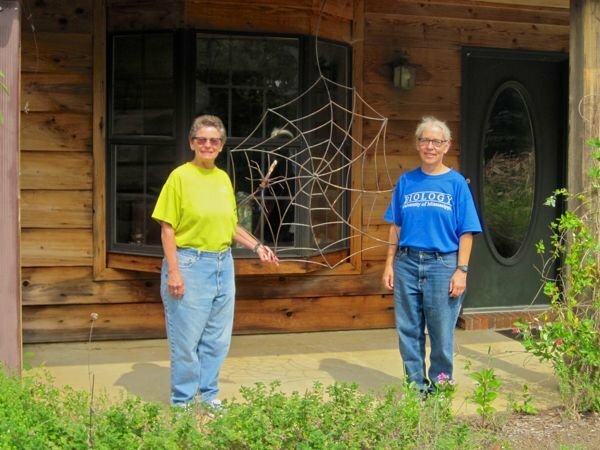 Our hosts for the weekend, Pat and Gail in front of a more or less indestructible spider web. Both are professional arachnologists (study spiders). 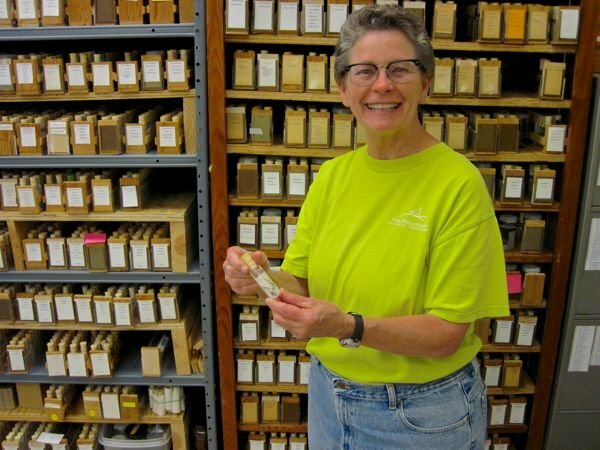 Pat shows off one of the 60,000 or so spiders in her collection – this one named after her! 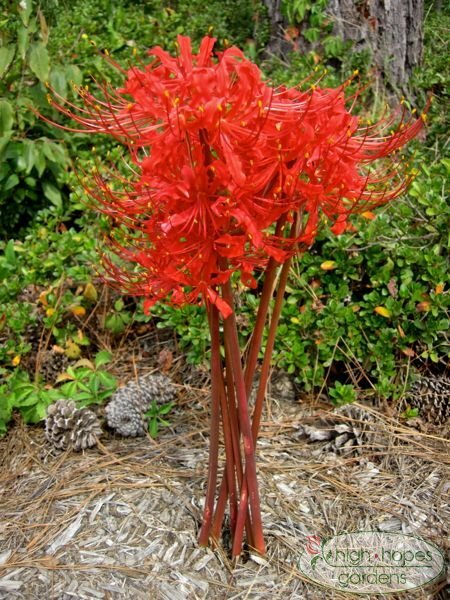 Down South, there are plants that ya’all don’t get to see up north, like this lilly plant that sends up foliage in the spring, dies back, and then sends up the flowers in the fall. 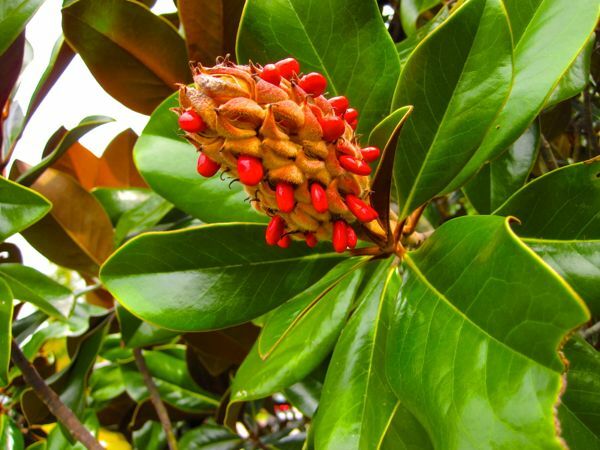 Of course, there are the Magnolia trees as well. 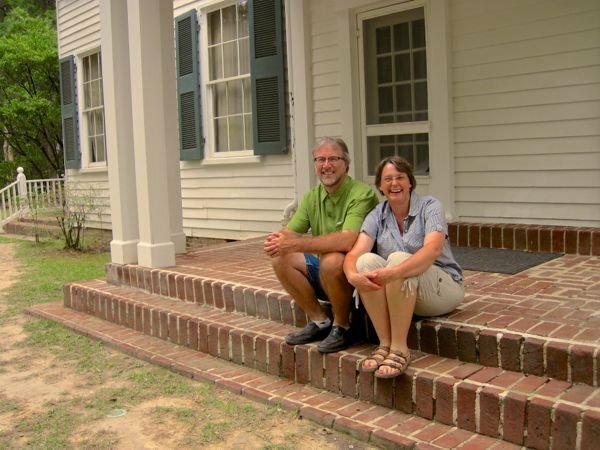 Here we’re kicking back on the back steps of Rowan Oak, William Faulkner’s home in Oxford. 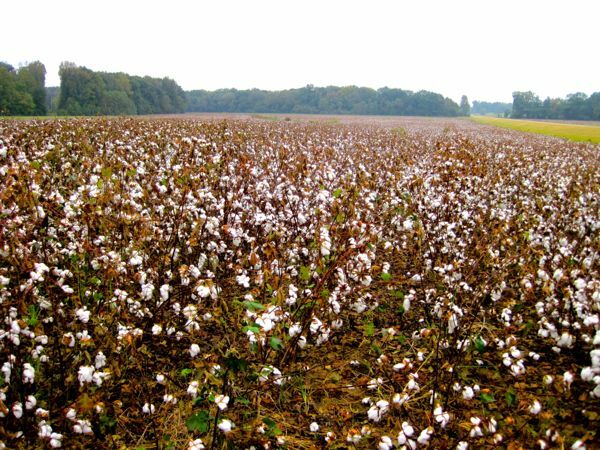 This was a bit of a rarity in this part of the state – a cotton field. We actually saw much more cotton in Arkansas. 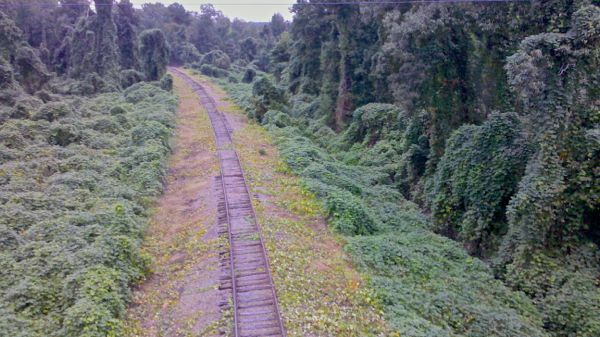 There was however, no shortage of Kudzu – namely along edges of forests, as you can see along these railroad tracks – it covers nearly everything in sight. With a freeze warning tonight, looks like the growing season for frost-tender crops is over tonight. It was a mad rush through the garden, grabbing whatever is left. 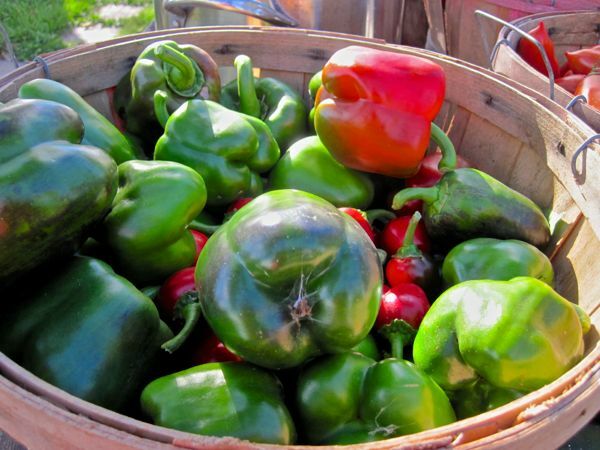 A bushel of sweet peppers. 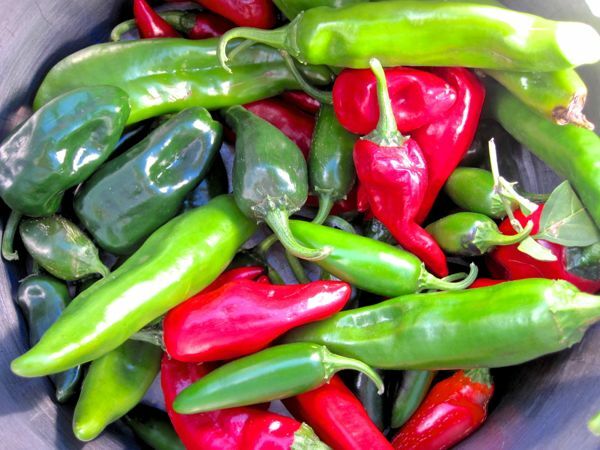 A bunch of hot peppers. 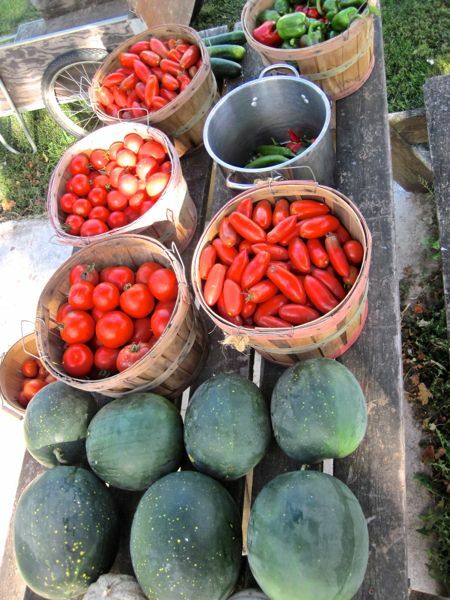 Most of the haul, including peppers, tomatoes, watermelon, cantaloupe, and cucumbers. What a treat last night for a beginning trombone player and his father. 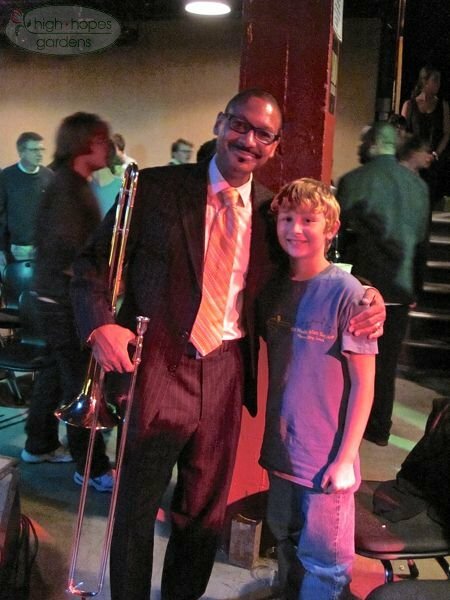 We were able to see one of the world’s finest jazz trombonists, Delfeayo Marsalis. The band was crazy good! The they played at one of my favorite places, the Maintenance Shop in Ames,Iowa. The “sidemen” were all top performers as well. 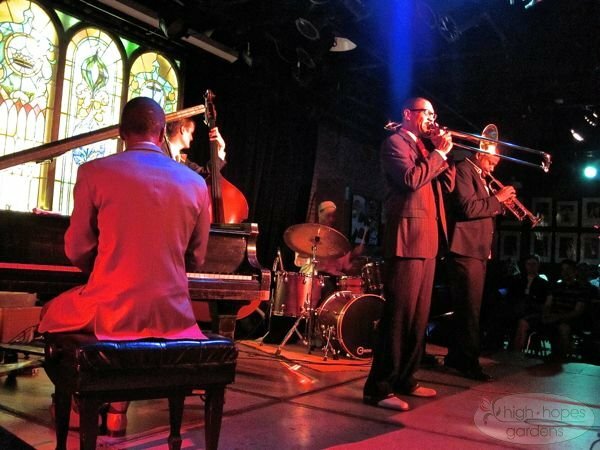 On trumpet was Sean Jones, who was featured on a grammy-winning jazz album, is the lead trumpet for the Jazz at the Lincoln Center Orchestra, and has his own group. The drummer, Winard Harper was one of the finest drummers I’ve ever seen and the pianist Richard Johnson also played with the Lincoln Center Orchestra and Wynton Marsalis. What a household it must be to have Wynton, Branford, and Delfeaoyo! After the performance, Delfeayo had spotted Martin in the audience and made a point to stop by to chat with him and give him some pointers and pose for a picture. He also picked up a couple of autographed CDs. Time to make some room in the shed and move out some things that I’m no longer using. Following each of these items is the starting price – they will drop $50/week until sold. 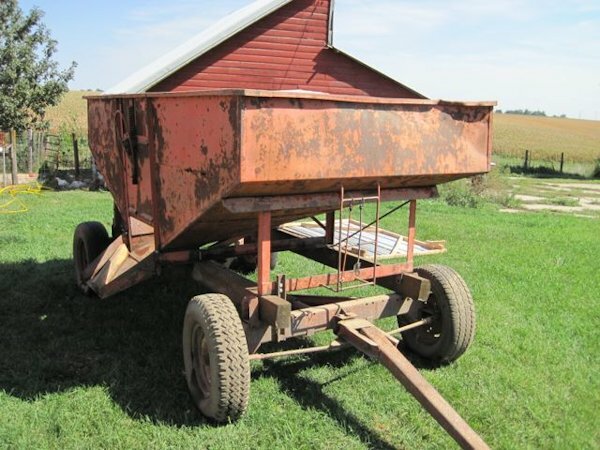 “Corn Caddy” by Heavybilt. 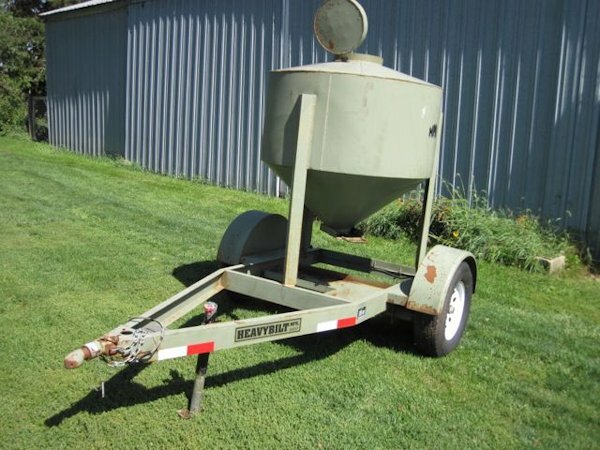 Mobile grain bin holds 1500 lbs of grain. Has lights and brakes. Tires like new. Original prices $1725, asking $850. New Idea barge wagon, approximately 6×10 and box is about 27 inches high. Pretty good rubber and wood in good shape. Asking $400. 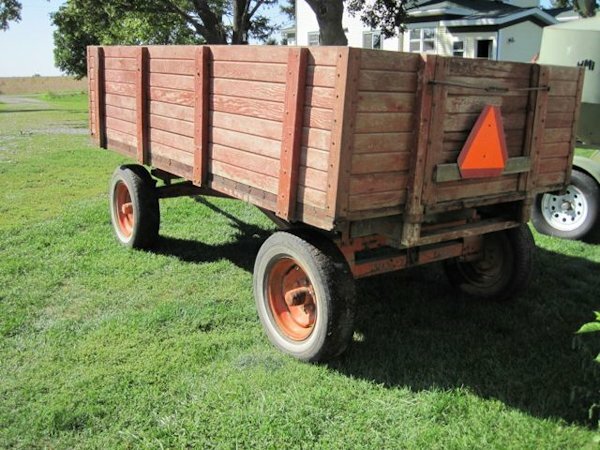 Gravity wagon – not too sure how much it holds – top is about 6′ x10′. Three tires are decent, one is bald. Dent in front right and some small holes in box. Asking $400. Respond with a comment if you’d like more photos or more info. 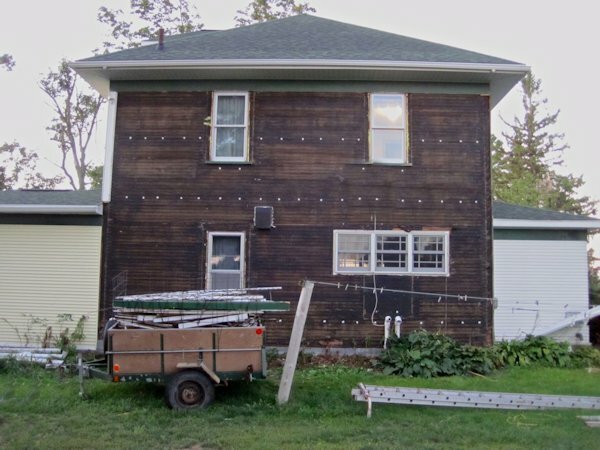 The 90 year-old cedar siding has met its lifespan. The east side was resided when we tore off the garage, the new soffits were put on when we redid the roof, so the siding is all that’s left for the outside. I hate it when new siding is just put over the old, sinking the windows into the house. This also gives me a chance to insulate in the gap where the old ropes and weights from the previous generation double-hung windows reside, tightening up the house even more. The cedar siding is all tucked in the trailer, ready for a trip to the landfill (I chose not to burn it, fearing the release of lead into the soil and air). My legs feel the results of up and down the ladders over a couple of days this weekend. Early in the week, the contractor will put up the Ty-Vek. Only two more sides to rip off. The peppers are doing just fine this year. 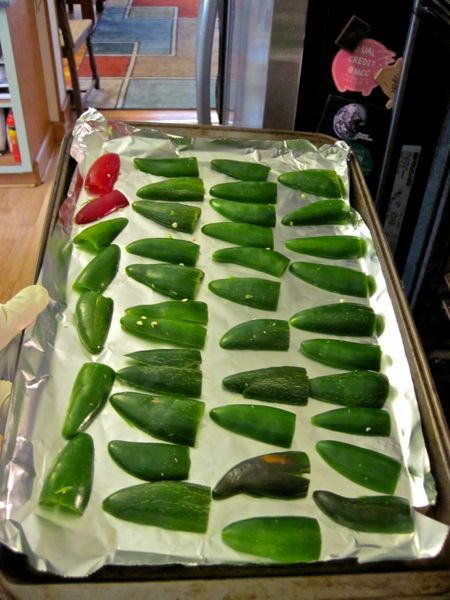 We thought we’d try roasting some hot peppers just for fun. Niece Jillian is here for a short visit, trying to keep busy on the farm (not usually much of a problem!) Here she’s cutting the jalapenos. A tray ready for roasting. 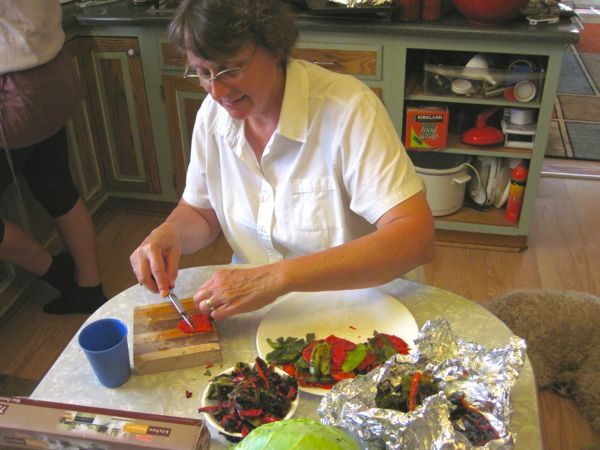 Linda hard at work, peeling the skins off the peppers. They are good! 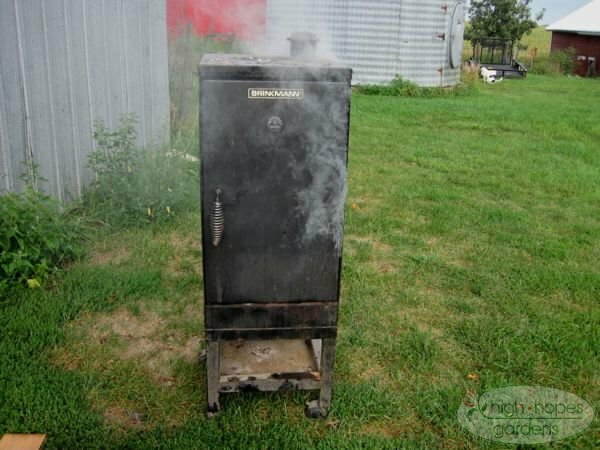 Time to drag out the smoker again – once more for some trout. It’s really hard to beat any smoked meat, my favorite is whatever I’ve smoked last. 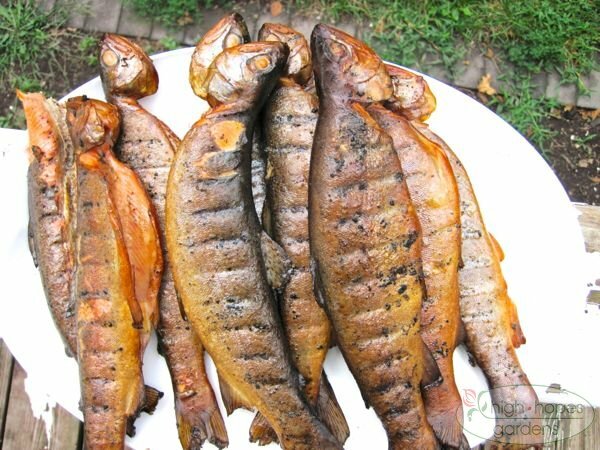 A tasty mess o’ trout. 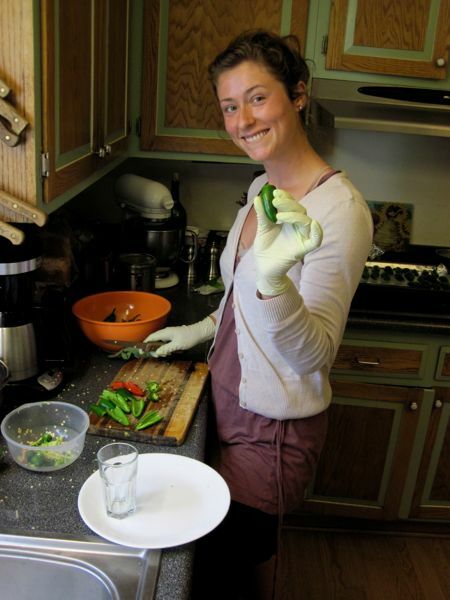 September 1, 2012 – Emma’s Healthy! Emma’s healthy for once! 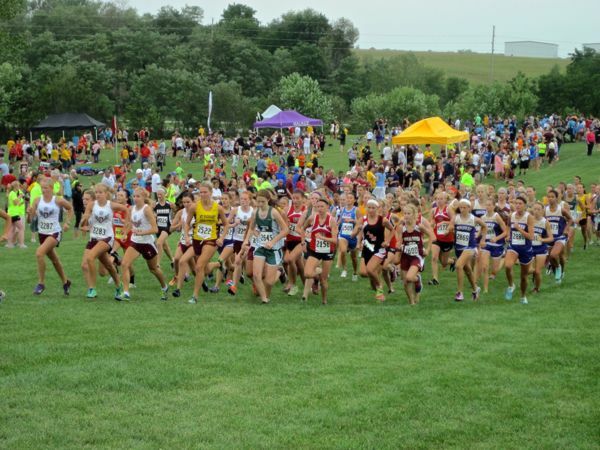 Between stubborn ankle problems and fighting a concussion, her previous track and cross-country seasons have been incomplete. 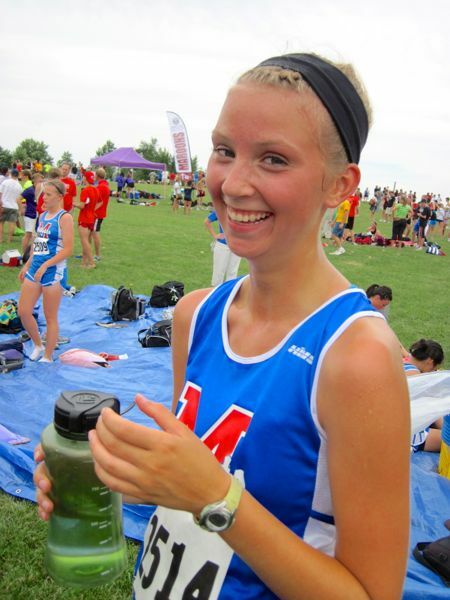 This year she’s on the starting line, happy to be running varsity. This week-end’s meet was at Central College in Pella, a good excuse to stop at the bakery for some Dutch letters!